The bartender simulator is almost ready to be served. 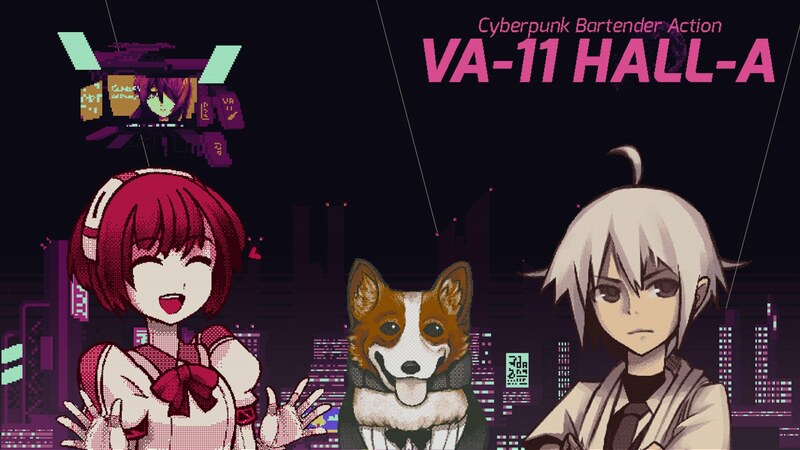 The unique indie bartending simulator by publisher Ysbryd Games and developer Sukeban Games, VA-11 HALL-A: Cyberpunk Bartender Action, is finally about to come to newer consoles. The game was released for PC and Mac in 2016, and then later ported to the PlayStation Vita in 2017. The game merges the dystopian bleakness of cyberpunk with the (seemingly) ordinary job of bartending and drink mixing. It features nonlinear gameplay, with the plot being influenced by what drinks you choose to make and how customers that frequent the VA-11 HALL-A bar react to them. The PC version released to much acclaim for its strong writing and unorthodox framing and characters. A sequel, titled N1RV Ann-A: Cyberpunk Bartender Action is set for 2020. The game will be available for the PlayStation 4 and Switch on May 2nd, and will cost $14.99, same as it did on PC, Mac, and Vita. You can check out a trailer for the game confirming its launch on newer systems below.